Renowned recording brand AIR Studios has revealed that it will be opening its Lyndhurst Hall facility in Hammersmith, London to the public for a guitar recording masterclass on 26 to 27 November. The sessions are being helmed by producer Tony Platt, who has produced and/or mixed the likes of AC/DC, Bob Marley, Gary Moore, Buddy Guy and Walter Trout, to name a few. In addition, the organisers inform us that the sessions will also include a series of performances and Q & A's with pro musicians, including Phil Manzanera of Roxy Music and Elliot Randall of Steeley Dan. 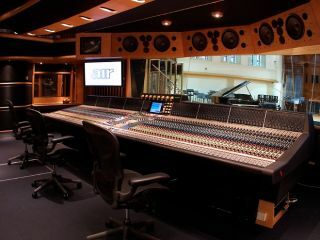 This is apparently the first time ever that AIR Studios has opened its doors for a public-facing masterclass and also represents the first outing of the company's new AIR Training unit. Tickets for the event cost £450 and are available from www.airstudiotraining.com and include lunch, refreshments, a goody bag and entry into a daily recording gear prize draw.